The legendary Hoodoo Gurus. By any measure, one of Australia's greatest, best loved, most enduring rock bands of all time. "What's My Scene", "I Want You Back", "MissFreelove'69", "Like Wow - Wipeout! 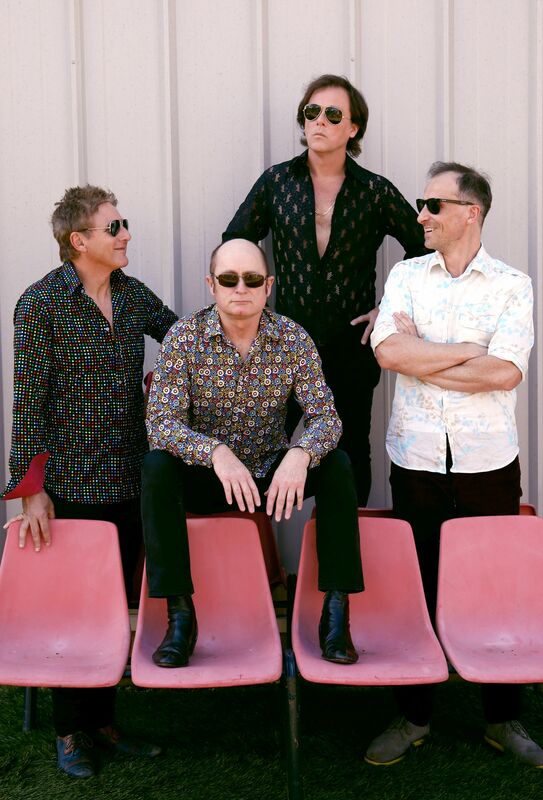 ", "1,000 Miles Away", "Bittersweet", "My Girl", "Come Anytime" - tracks that represent the unmistakeable sound of the irrepressible Hoodoo Gurus;but those are just a sample from their canon of instantly identifiable songs that have helped provide a soundtrack to Australian right through the 80's to today. Through that time span their international triumphs, sold out tours, 9 gold and platinum records and accolades including being inducted into the Australian Music Hall of Fame, the Gurus have remained one of the most popular and successful musical acts Australia has ever produced. Restless and revolutionary, Bleeding Knees Club's new album 'Fade the Hammer', brings pummelling garage-rock and the sound of a band on fire. Eager to share the album with their fans, The Brag surmised, a Bleeding Knees Club show as 'proving punk is not dead'. Also supporting the Hoodoo Gurus, Wesley Fuller's harmonies and thumping disco beats will have the crowd up on their feet. Fuller's progression as a writer and producer shows his unmistakable knack for melody. Wesley Fuller, is a current recipient of the American Express Music Backers Grant Program - an initiative dedicated to supporting the Australian music industry by giving artists, venues, businesses and fans the opportunity to share in a grant program valued at $1 million.